None of us would have thought it even in our dreams that our ear can behave as a wireless source to access external devices. However, our scientists have succeeded in making this fact into a working reality. A recent research conducted by the intelligent analysts of MIT has proven that our ear contains a natural battery which actually lets us hear the noises, can be used as a wireless data transmitter. Cheers to the intelligence of MIT Eye and Ear Infirmary and the determination of Harvard-MIT department of Health Sciences, who have accomplish this amazing experiment by testing their hypothesis on guinea pigs. 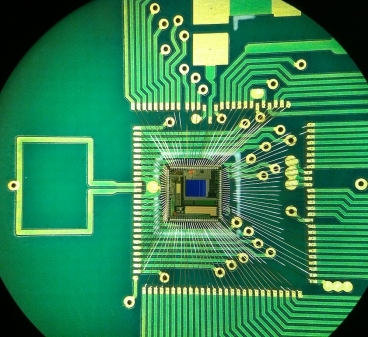 After carrying out various analyses they finally ended up with the possibility to embed a chip into their ear which could send out the data to a peripheral device wirelessly. Hopefully, the day isn’t too far when people would make use of their ears to charge up their smartphones rather than searching for electric sockets everywhere. Researchers had known this biological phenomenon since 1950s, but the assumption of causing a person to become deaf was the main source of delay in its execution. But they were pleased to observe that guinea pigs still had their hearing capabilities intact after this experiment. Nevertheless, it is quite visible that the charge gained through ear would not be as powerful as an actual electronic charge but on the whole, it’s an attractive discovery and has given a new path to various unique bio-technical studies.